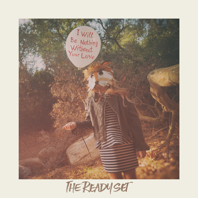 Fans can stream The Ready Set’s recent single, “Swim“, on Being Blogged: http://bit.ly/1RqQL7M. Watch the video for “Disappearing Act” on Kick Kick Snare, here: http://bit.ly/1REeZao, and check out the first single, “Good Enough“, here:http://bit.ly/223Xds3. The new album is now available to pre-order on iTunes, which includes a free instant download of “Good Enough”: http://apple.co/1Ra2MA9. An exclusive version of the album with three extra tracksis available to pre-order through Target: http://bit.ly/1UjiBDC. Fans can also pre-order various merch bundles from the webstore, here: http://bit.ly/1P2xxzq. Jordan Witzigreuter was only 20 years old when nearly overnight, the young Indiana-born musician-who had spent the better part of his teens writing an arsenal of illegally catchy, electro-pop songs-was plucked from near obscurity and thrust into the spotlight. Six years have passed since the release of The Ready Set’s debut album, I’m Alive, I’m Dreaming, which hit No. 3 on Billboard’s Heatseekers chart, thanks to the platinum-selling success of the LP’s first single, “Love Like Woe. 2011 saw the release of The Ready Set’s sophomore album Feel Good Now and the hit song “Young Forever.” The band’s most recent album, 2014’s The Bad & The Better, charted at #75 on the Billboard 200. The Ready Set has toured with The Wanted, Carly Rae Jepsen, Cher Lloyd, Breathe Carolina, We The Kings, and more.